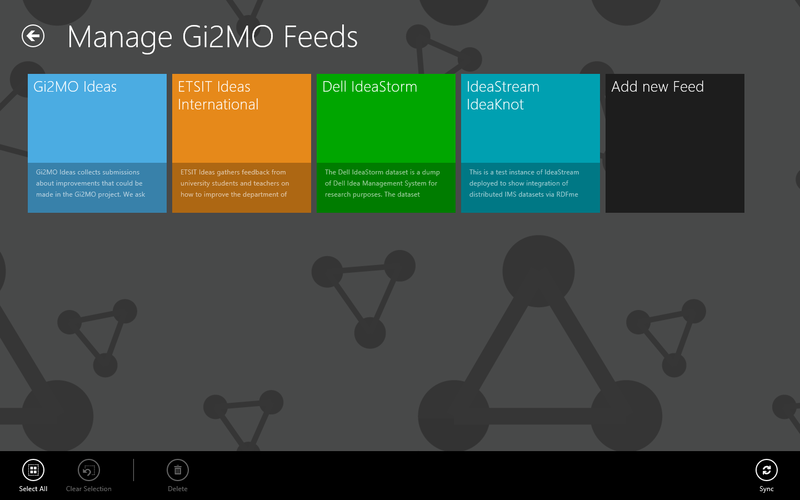 Gi2MO Reader is a Windows 8 touch interface optimised application that works as a feed browser for Idea Management Systems. 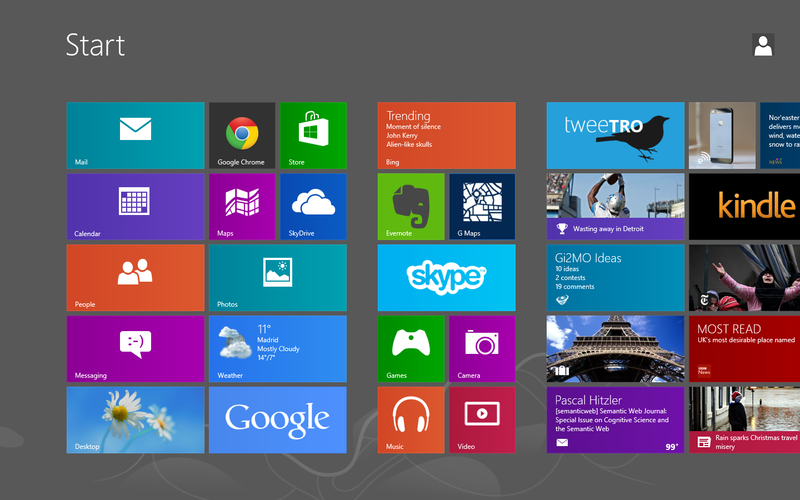 Info: A Windows 8 touch based application that allows to browse data of multiple Idea Management Systems. 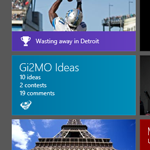 Related Blog post: Gi2MO Reader: A Windows 8 app with touch..
Main screen of Gi2MO Reader app listing ideas of demo Gi2MO feeds. 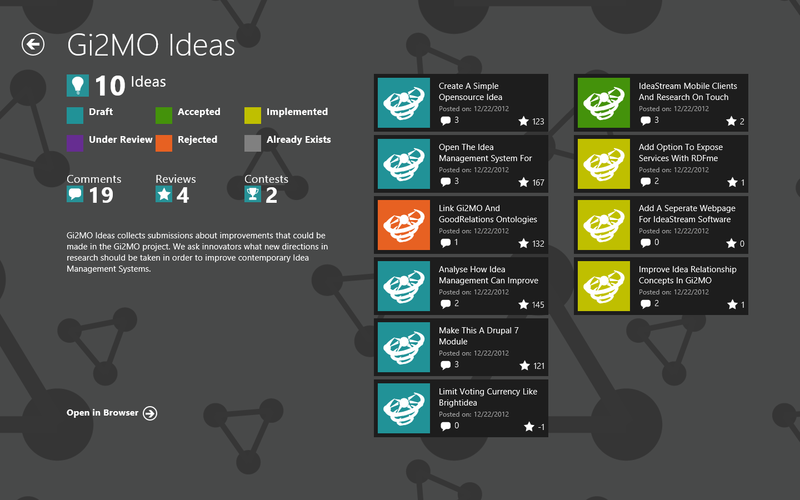 Aside of idea list and idea content display, the application shows statistics such as idea count, comment count, review count, idea ratings etc. 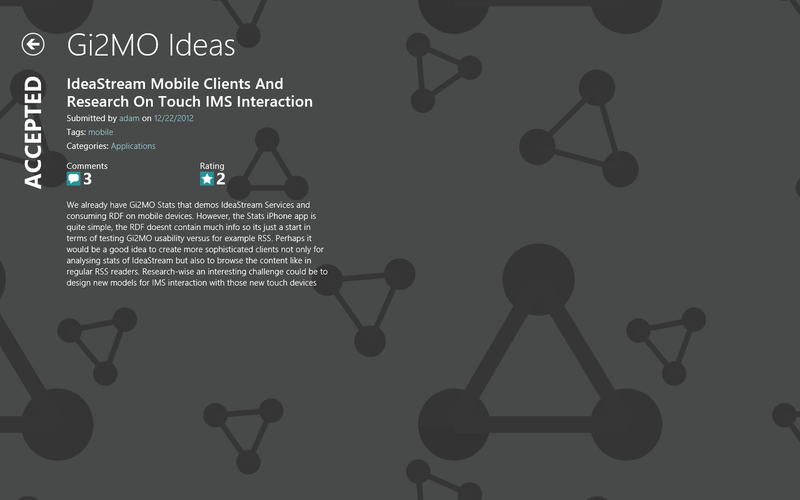 The application can monitor any amount of Idea Management instances as long as they can deliver required information serialized in RDF/XML. The source data has to be constructed following the guidelines of Gi2MO Ontology and its optimized version – Gi2MO IdeaStream Ontology. 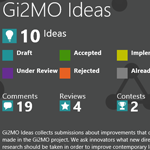 For details of the format please refer to the sample files; for general guidelines of using Gi2MO ontologies see the respectable specifications. 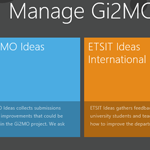 Gi2MO Reader is compatible with our open-source Idea Management System called Gi2MO IdeaStream in version v0.1.5.2a and higher when installed together with RDFme module. 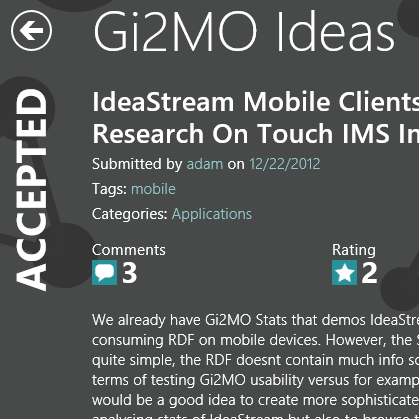 Gi2MO IdeaStream delivers a feature called IdeaStream Services that allows to set up REST web services which enable communication with external clients such as Gi2MO Reader or Gi2MO Stats. 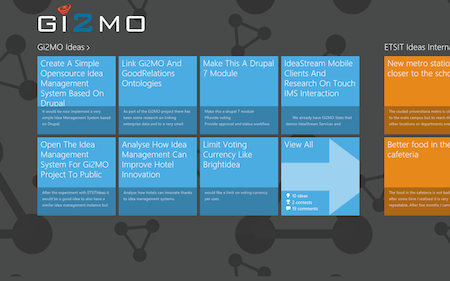 For details of using IdeaStream services please refer to the documentation of RDFme module that provides the core of this functionality.